After eight long and dismal years, this Christmas season looks as though it will be a cheerful one for the birthplace of Jesus. Hotels are booked solid through January, Manger Square is bustling with tourists, and Israeli and Palestinian forces are working to make things go smoothly. This is attracting tourists once again who have stayed away for such a long time now due to Palestinian and Israeli violence in the area. Bethlehem’s economic fortunes have been closely tied to the Israeli-Palestinian conflict. While tourism thrived in the 1990s when peace hopes were alive, they were crushed in 2000 by the outbreak of fighting.For the last eight Christmas seasons, tourists have stayed away due to the Palestinian violence and Israeli travel restrictions. 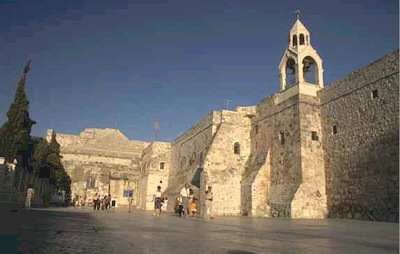 With calm gradually returning to the West Bank, Bethlehem has again become a magnet for Christmas pilgrims. “It’s a difference between heaven and earth,” said entrepreneur Mike Kanawati, who is so optimistic he’s opening a new restaurant near the Church of the Nativity. Palestinian officials say 1.3 million tourists have visited the West Bank this year, nearly double last year’s level. The total for 2008 could rise to 1.6 million. The tourism boom has created 12,000 new jobs, said Palestinian Information Minister Riad Malki. Bethlehem’s 19 hotels are fully booked through January, said Mayor Victor Batarseh. He said he expects 30,000 visitors on Christmas Eve alone, compared with 22,000 last year, with about 5,000 more expected during Orthodox rites in January.